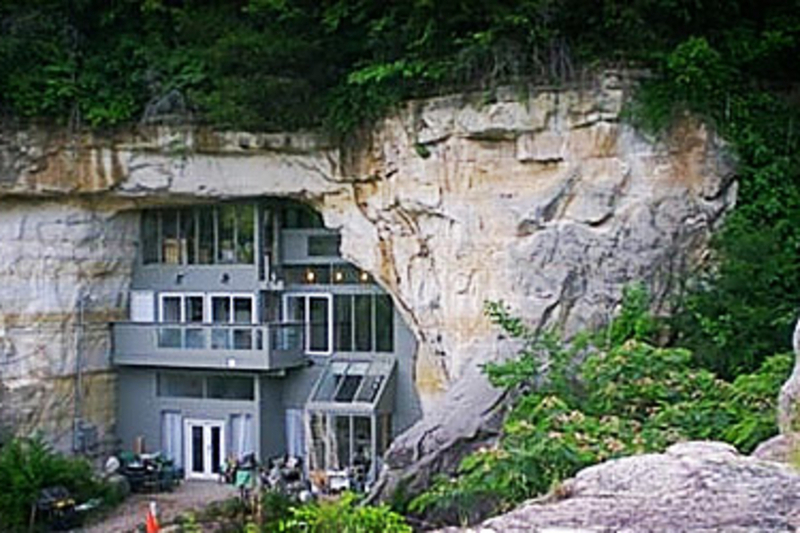 Bat Cave, Man Cave — whatever you want to call it, this unique Missouri Cave Home ($300,000) is a superhero-worthy hangout. Boasting over 17,000 sq ft of space, this cavernous house is fully livable, with three bedrooms, a 400 sq ft kitchen, three groundwater springs, 2.8 acres of land, and a legendary stage — yes, stage — where bands such as the MC5, Ted Nugent, and Bob Seger have performed. Fringe benefit: Being able to answer "yes" when asked "Do you live in a cave?" "Why yes, yes I do."